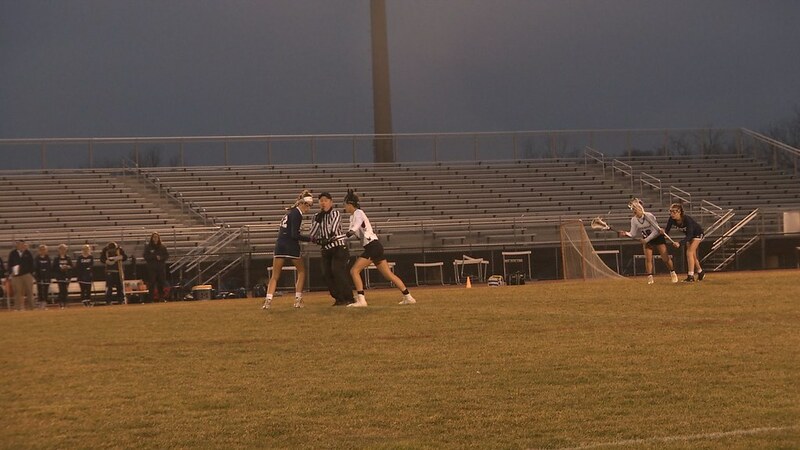 OKEMOS - The Okemos High School girls lacrosse team had a tough matchup against one of the top teams in the state Wednesday night. The Lady Chieftains played East Grand Rapids, a team who lost in last years Michigan High School Athletic Association (MHSAA) Division II girls lacrosse final. OHS allowed East Grand Rapids to gain an early lead in the first half with a good cushion to build on as the Okemos girls would go into halftime down 4-9. In the second half the Chieftains came out and challenged the Pioneers to play and win that came. OHS would come out and and go on a early 4-0 run cutting the lead down to one. However, the Pioneers would come back and win the game 14-11. Their next game is Tuesday, April 10 against Holt High School.